We adopted Molly and her brother Mac in Jan.2008. 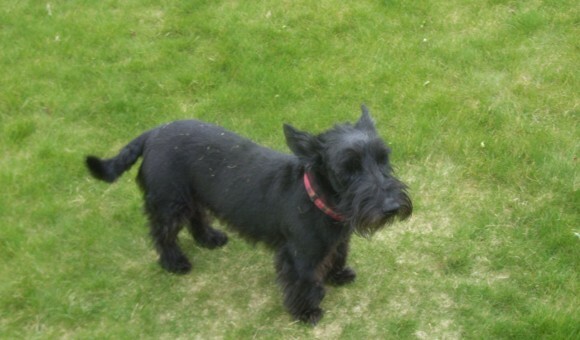 She was a very special dog to us with a lot of character as all Scotties have. 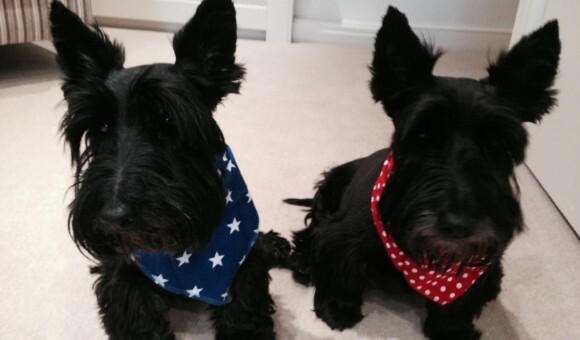 I have recently become a member of STECs as we adopted 2 Scotties from Dog Trust in September last year. 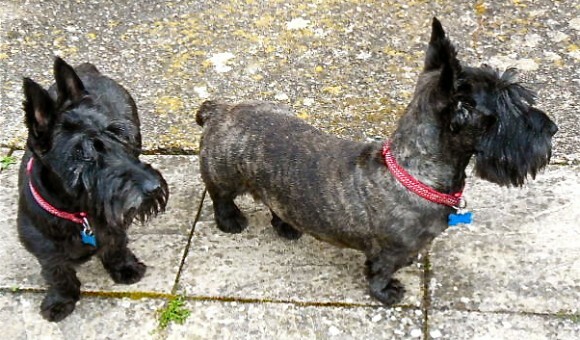 Toby (Black, 10 years old) & Monty (Brindle, 5 years old) rescued by Liz in Taunton. 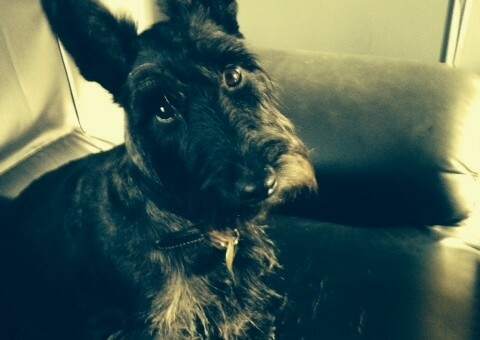 Here’s Séamus, now 6 months old. 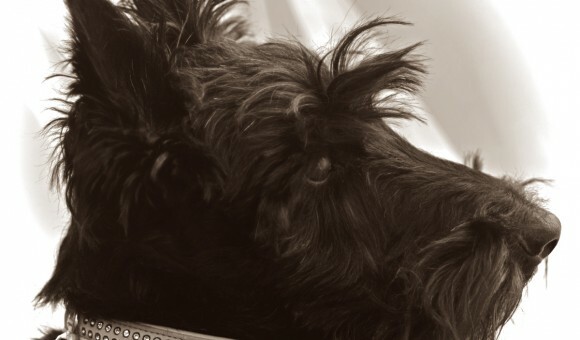 This is Mollie. She’s off to her new home soon. 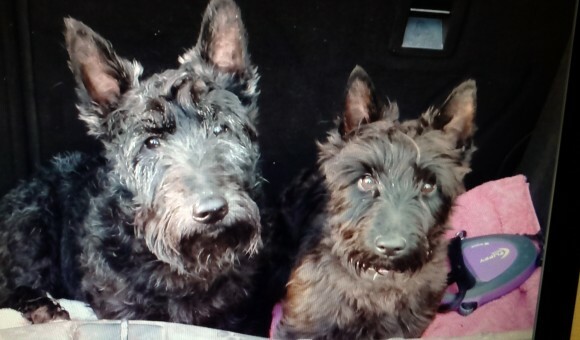 Archie & Radley came to us in August 2014 after a Summer with Cath Marchbank. 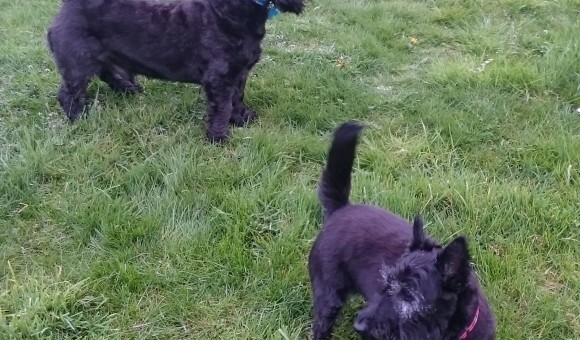 They joined our 11 year old Scottie, Feargus, who accepted them immediately. 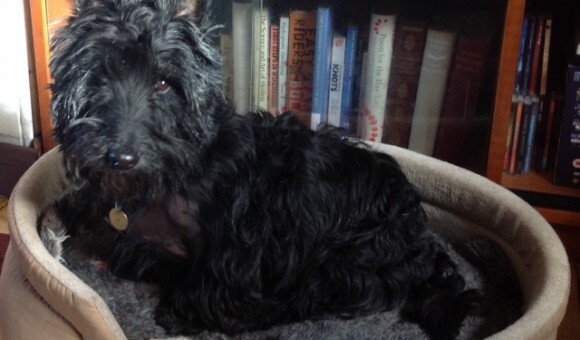 Walter has now been with us for a year. 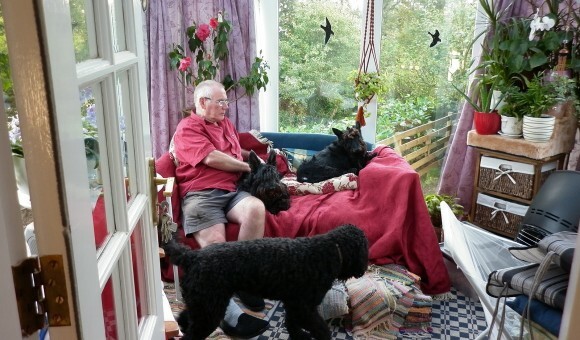 He’s settled in as though he had been here all his life. Unfortunately, I lost my beautiful girl Meggie to cancer in October last year. 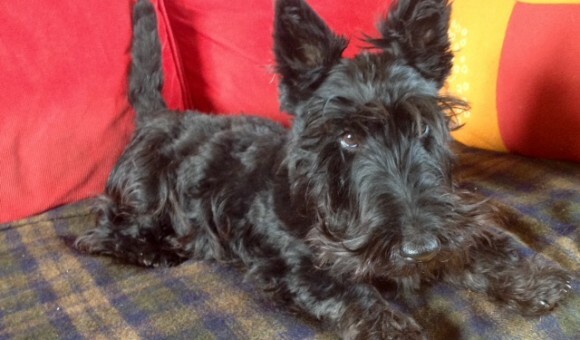 I will always own a Scottie as they are very special.